We all know the world is an amazing place. Technology, in particular, has opened up possibilities that were beyond the realm of imagination just thirty or forty years ago. For instance, did you know it’s possible to have an office without paying the rent? Or, that you can travel the world and run a successful business at the same time? With virtual offices, you decide what it means to own a business. There is no physical space to maintain, so there are no limitations or restrictions. Why tie your company to a single office, in a single city, when you can access a digital workspace in the cloud? Servcorp is a leading provider of virtual office solutions and an innovator when it comes to remote routines. This article explores the phenomena of virtual offices and explains how you can make them work for your business. In order for virtual businesses to work, they need exceptionally strong branding. You’ve got to have a watertight marketing message to make up for the fact you don’t have a physical presence. This is easier than you might think. You’ve just got to be willing to let people in. Businesses don’t need an office to have a workplace culture. Use your website and social media to share insights into the company. Post pictures, run competitions and imbue your brand with a personal touch. Focus on what you do, not where you do it. The real beauty of going virtual and swapping physical space for remote resources is the flexibility. There is so much freedom, particularly when compared with long hold leasing. The level of risk is minimal because virtual solutions are highly affordable and inherently negotiable. As you’re not paying for a private office, you can chop and change resources whenever you choose. Add a second company phone line, set up a virtual branch in a neighbouring city, or just take advantage of the ability to save money, instead of spending it all on rent. The assumption is that, without a physical office, there’s no viable way to get the best out of employees. This is really not the case, as studies have shown. When working with remote employees, the focus moves away from getting an acceptable level of input from staff. They can no longer use presence and time spent as an indicator of performance. When checking in remotely, employees must show evidence of results. So, in actual fact, offsite teams tend to work harder than those in offices. They’re held to a higher standard. It’s worth mentioning how accommodating virtual offices are when it comes to growth. There is no other leasing option that allows you to expand at your own pace. With a full-time office, businesses must either grow fast to afford the expense or stifle growth to stay within its physical limits. If you go virtual, however, the rate of development is up to you. All of the resources are fully scalable and can be adapted to fit changing needs. When a home-based routine and a virtual set up are no longer suitable, it’s easy to leave the contract and try something new. 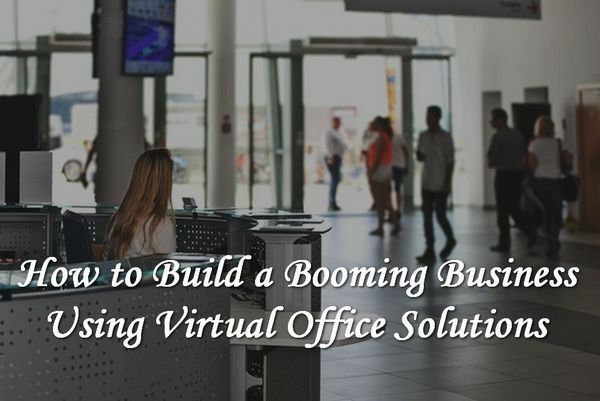 If you’re new to virtual offices, you’ll be glad to know they’re a simple, easy to use resource. The way you access the software, tools, and other perks is up to you, so it’s just a matter of discussing your needs with the vendor. It’s okay to feel a little unsure about this mode of work, particularly if it’s unfamiliar. Nevertheless, remote routines and ‘cloud’ based services are extremely common right now. They’re risk-free too, as these vendors never charge penalty fees for ending contracts early.